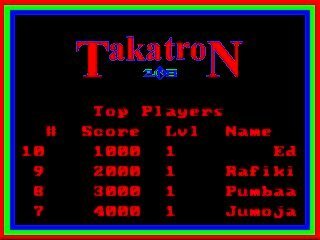 Jaguar Windows MSDOS Skunkboard 20161202 2016-12-02 Atari Jaguar Skunkboard support and development files. 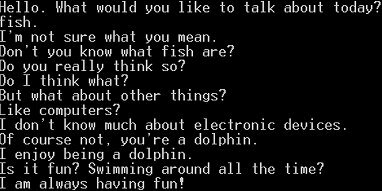 MSDOS Tarot Reader . 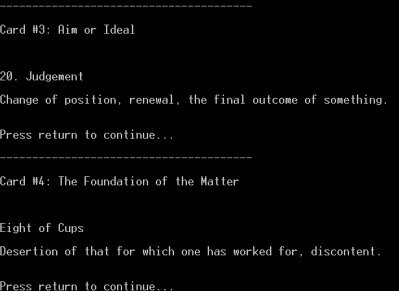 2016-02-12 Simple text-based Tarot reader - was written to be an online door game. 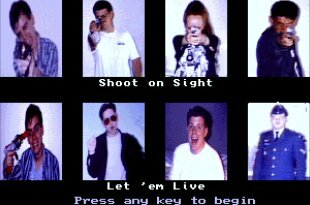 MSDOS Voting Booth . 2016-02-12 Really simple voting booth for MSDOS. Was originally written as a door game. 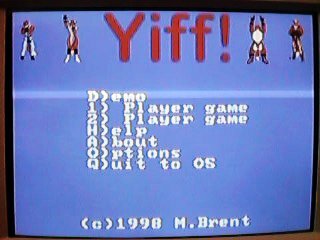 MSDOS Yiff! . 2016-02-12 Chain-Reaction-inspired two player puzzle game with foxes. 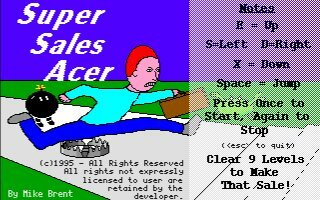 MSDOS SuperSalesAcer . 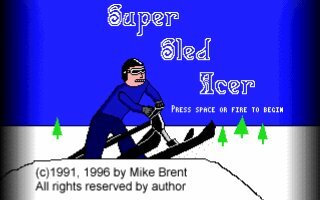 2016-01-23 MS-DOS Platformer game - make that sale!